The top six upper team and junior division acts face the most intense cut of the season. 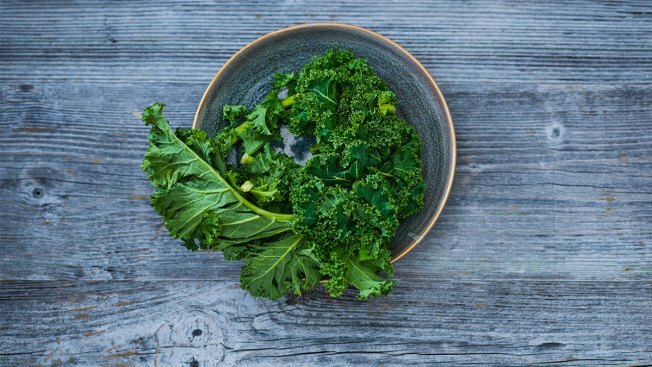 Often touted for being highly nutritious, kale has joined the list of 11 other fruits and vegetables known to be “dirty,” according to an analysis by the Environmental Working Group. The watchdog group publishes its “Dirty Dozen” list annually, in which it ranks the 12 produce items that contain the highest amount of pesticide residues. The group analyzes data from the Department of Agriculture’s regular produce testing to determine the list. Ranked alongside kale on the list are strawberries, spinach, nectarines, apples, grapes, peaches, cherries, pears, tomatoes, celery and potatoes. The last time kale was included in the USDA’s produce tests was 2009 and it ranked eighth on the Dirty Dozen list. “We were surprised kale had so many pesticides on it, but the test results were unequivocal,” said EWG Toxicologist Alexis Temkin in a release. More than 92 percent of kale had residue from at least two pesticides after washing and peeling the appropriate vegetables, according to the report. Some had up to 18. Almost 60 percent of the kale samples showed residual Dacthal, a pesticide that is known as a possible human carcinogen. Pesticides help protect crops against insects, weeds and infections, but research has shown a correlation between chemicals and health complications. The group releases its “Clean Fifteen” list as well, highlighting the 15 produce items with the least amount of pesticide residue detected. It includes avocados, sweet corn, pineapples, frozen sweet peas, onions, papayas, eggplants, asparagus, kiwis, cabbages, cauliflower, cantaloupes, broccoli, mushrooms and honeydew melons. Consumers should buy organic produce whenever possible to avoid pesticides, according to the report. But that shouldn’t deter people who can’t afford it from eating these items. “The health benefits of a diet rich in fruits and vegetables outweigh the risks of pesticide exposure,” EWG Research Analyst Carla Burns said in a release.